Sally is one of Australia's most prolific writers for children. Her versatility is reflected in her range of titles from poetry to fiction to picture books. Her first book was published when she was just nineteen years old. 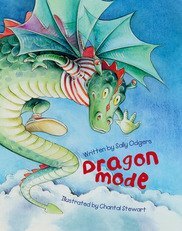 Sally uses humour in many of her books and Dragon Mode is no exception!